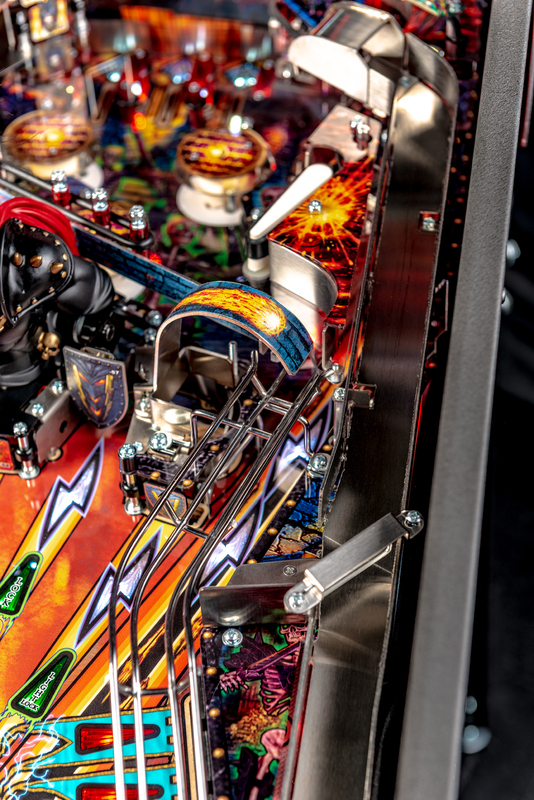 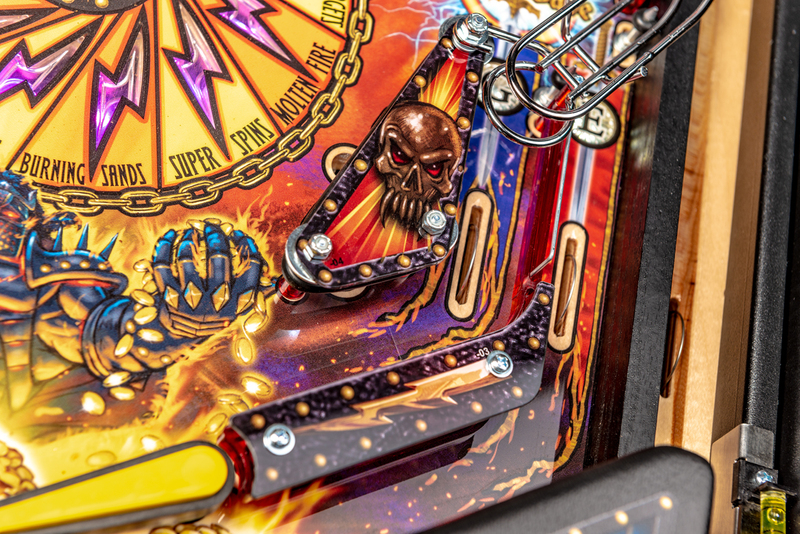 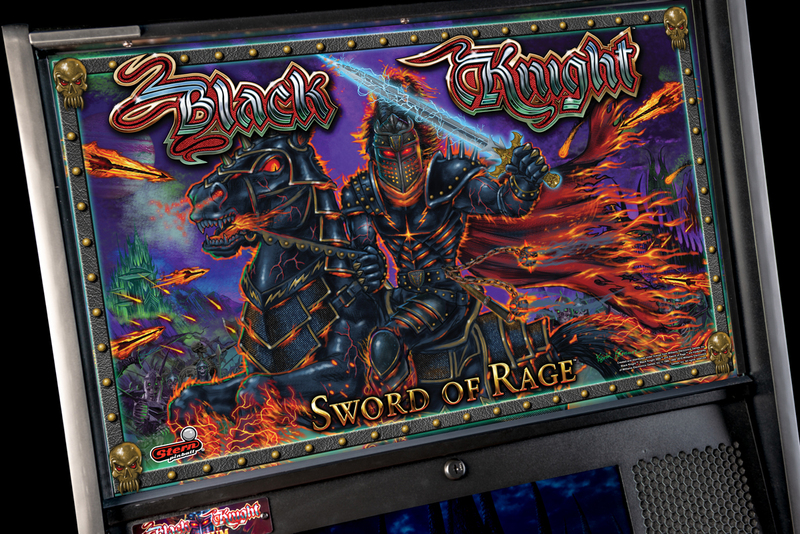 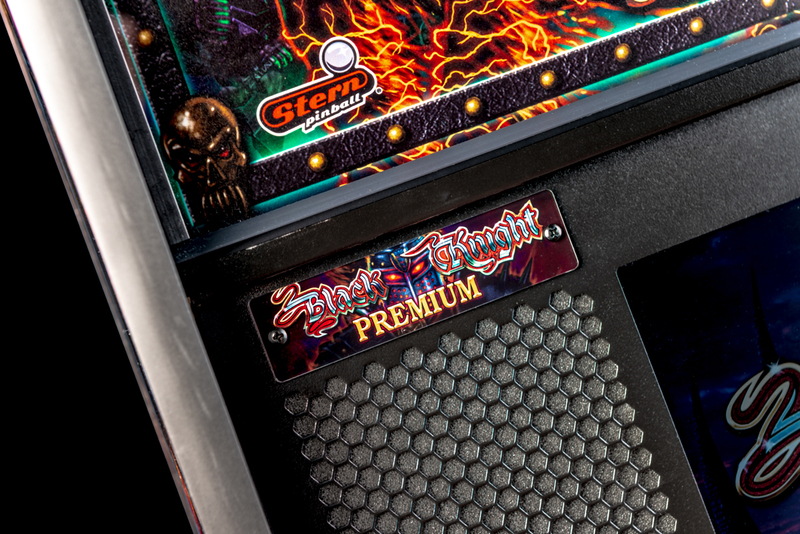 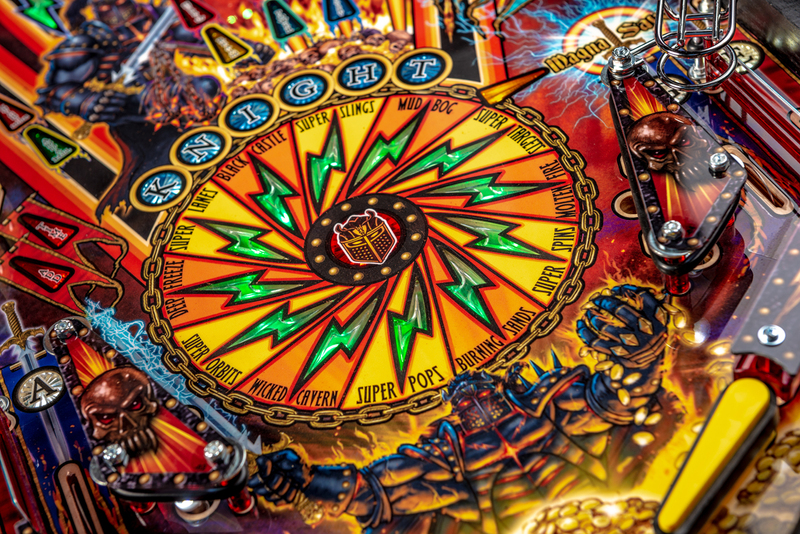 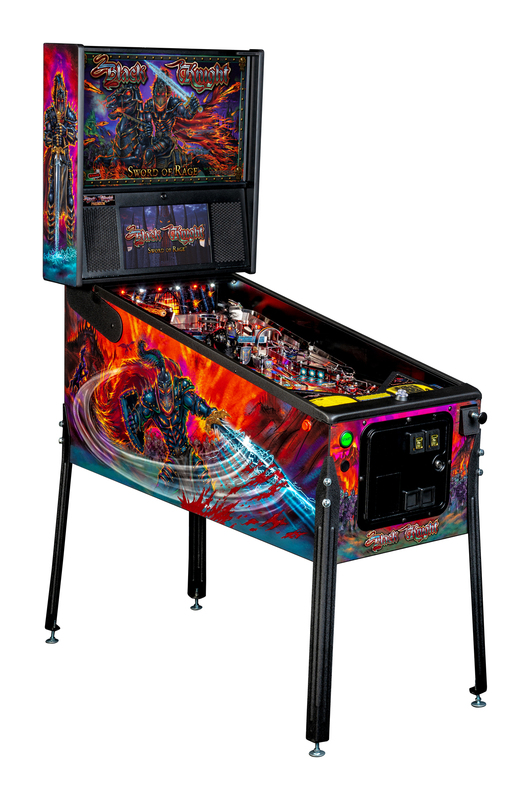 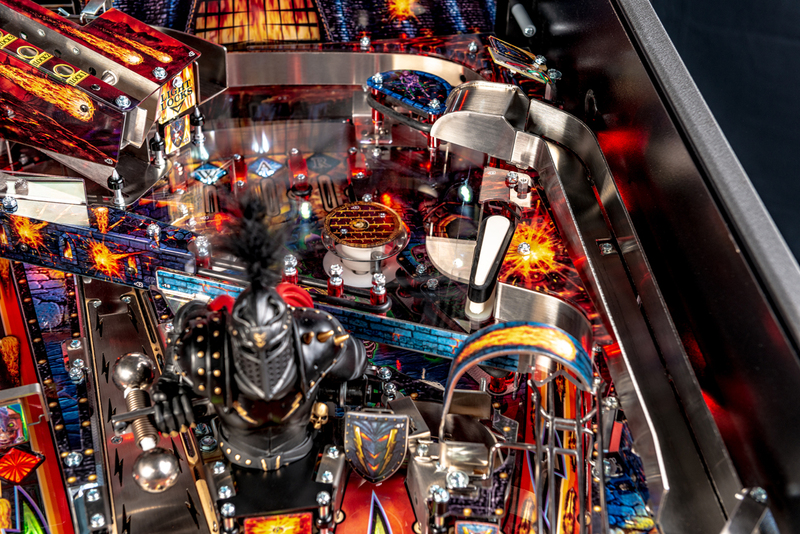 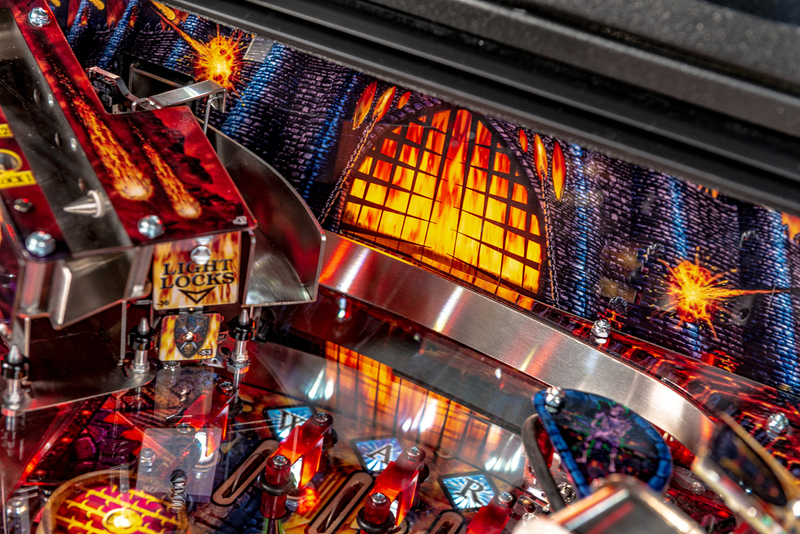 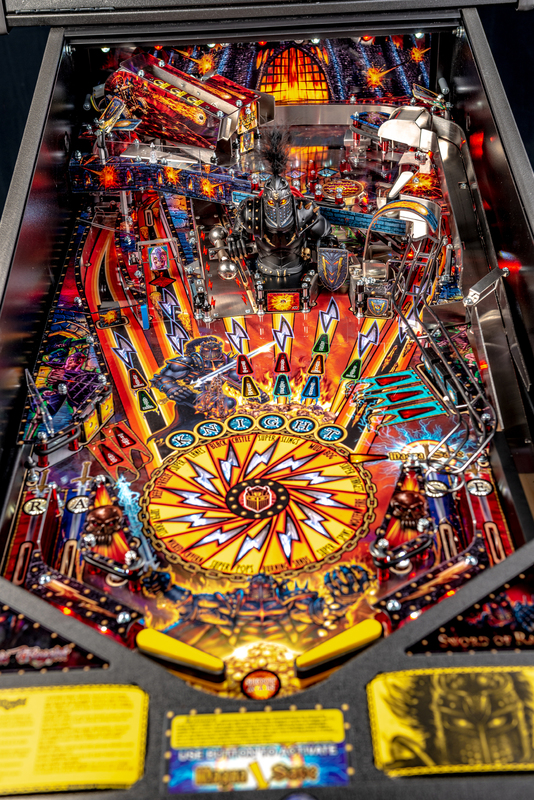 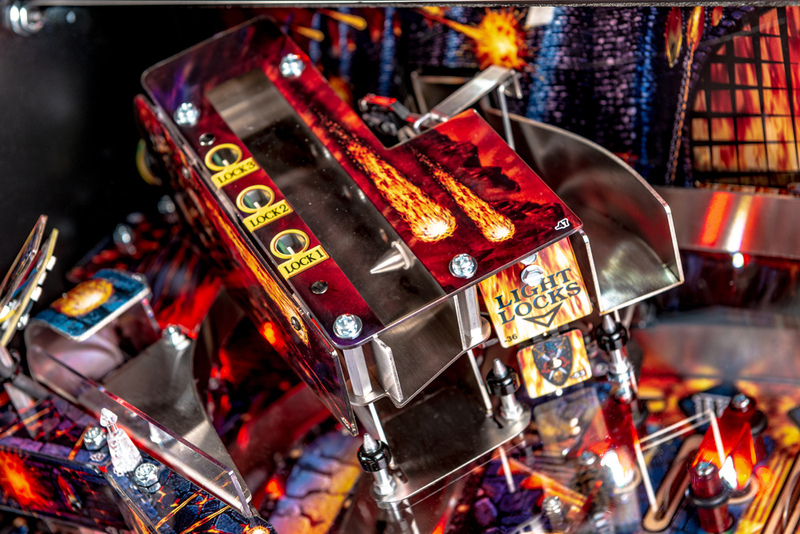 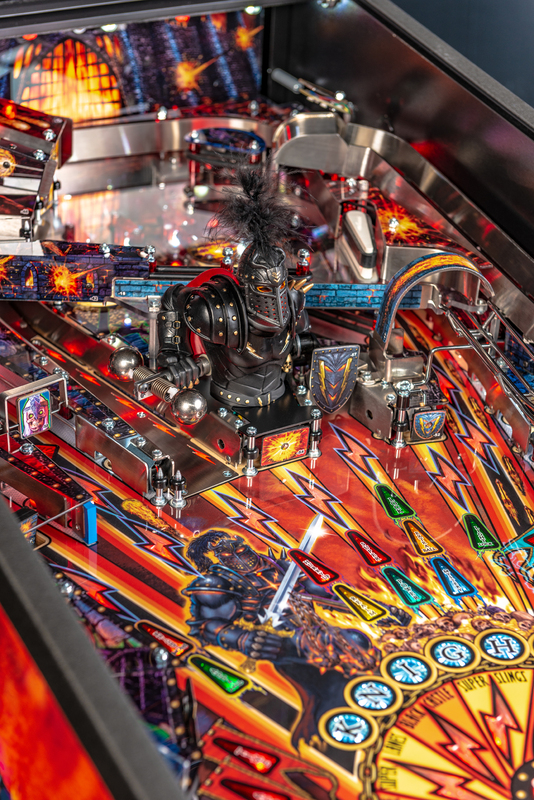 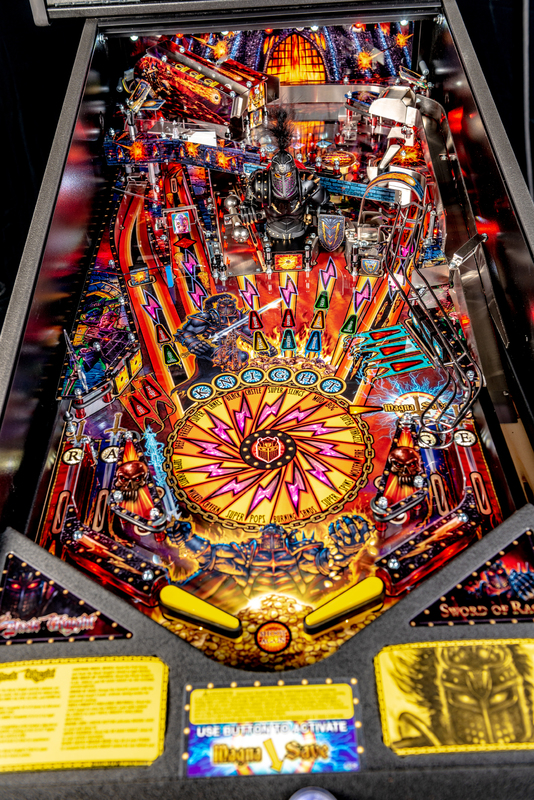 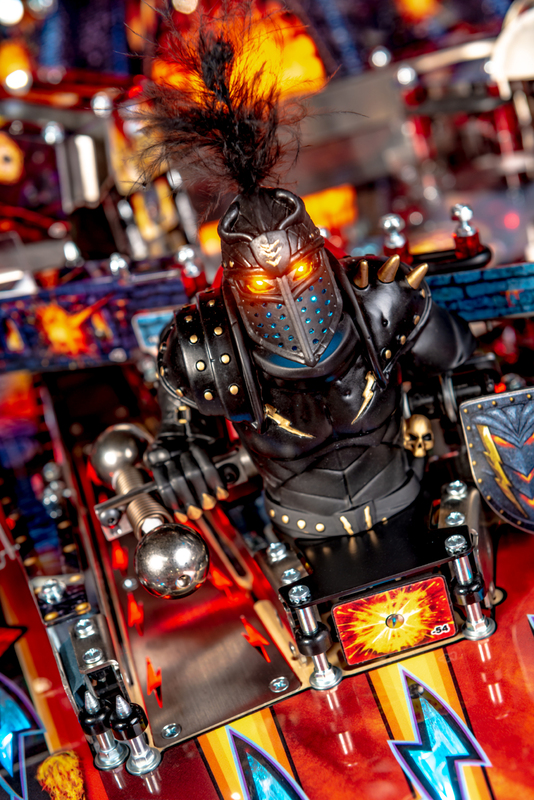 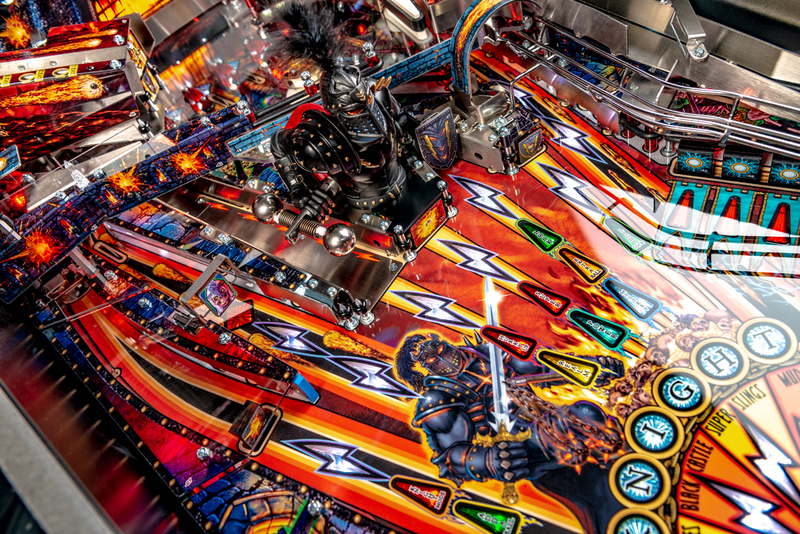 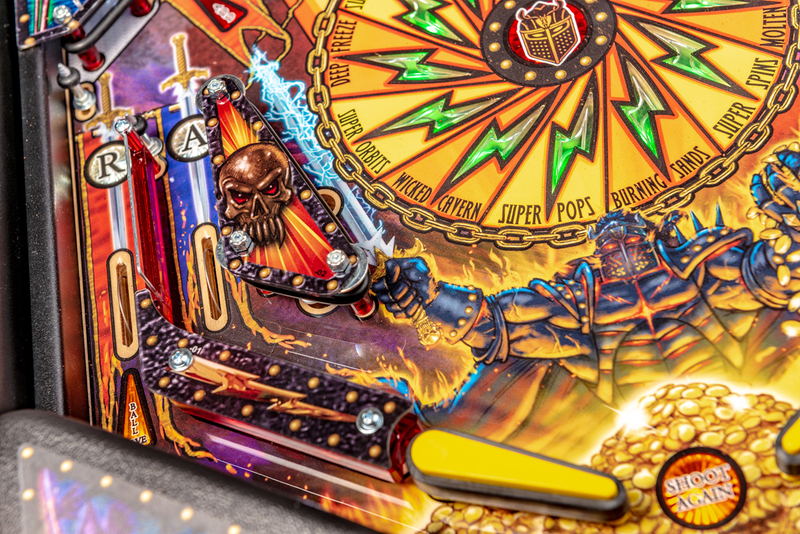 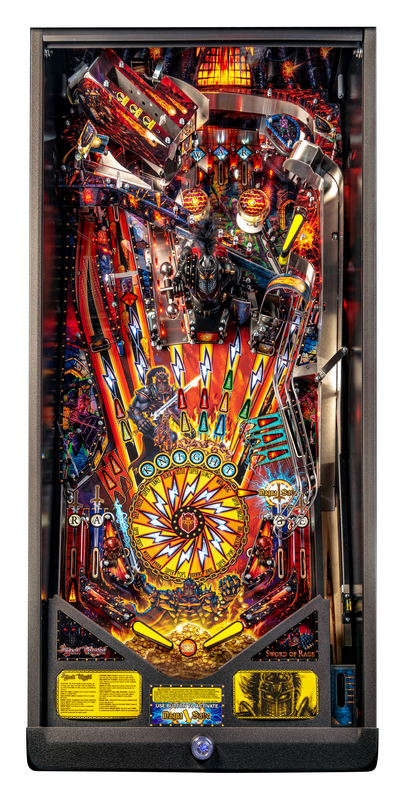 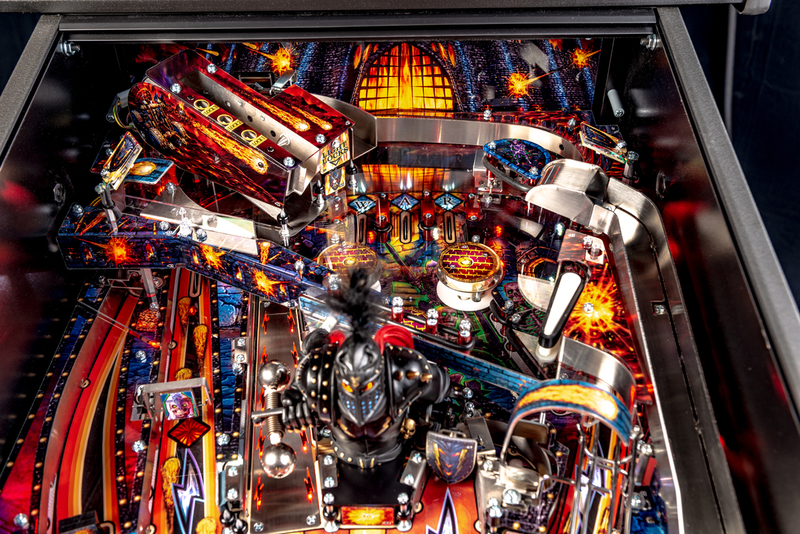 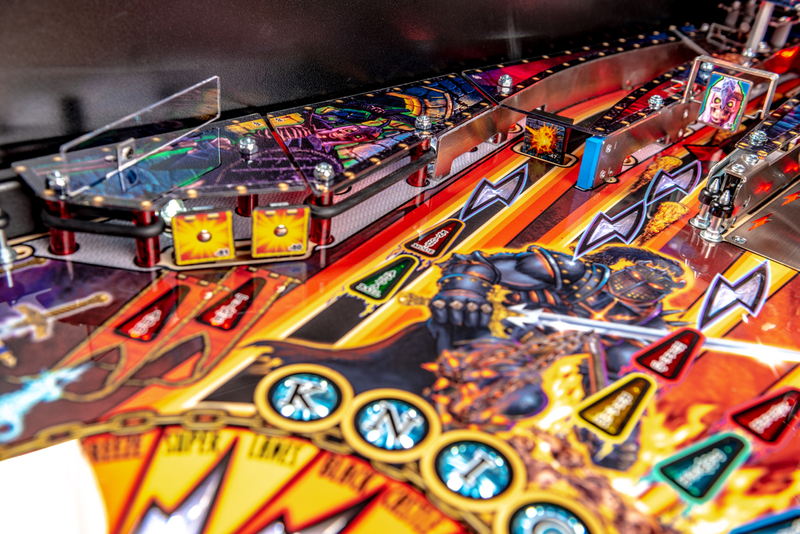 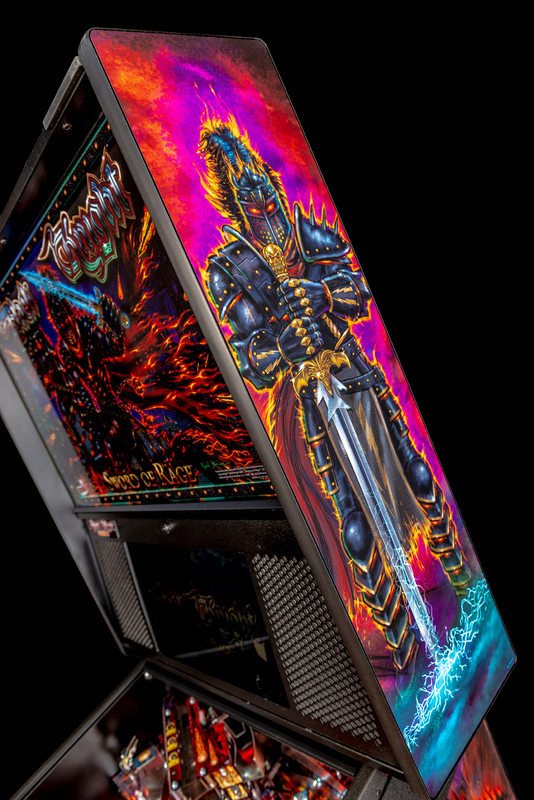 Black Knight: Sword of Rage (Premium) Pinball Machine | Fun! 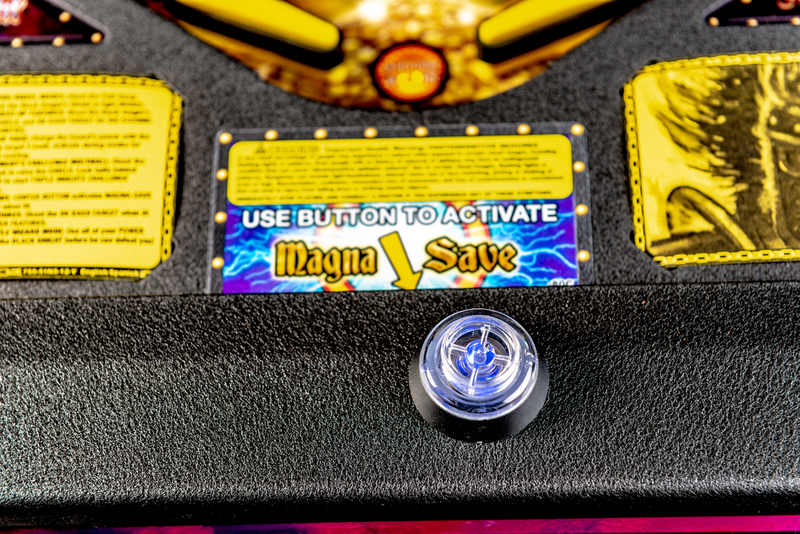 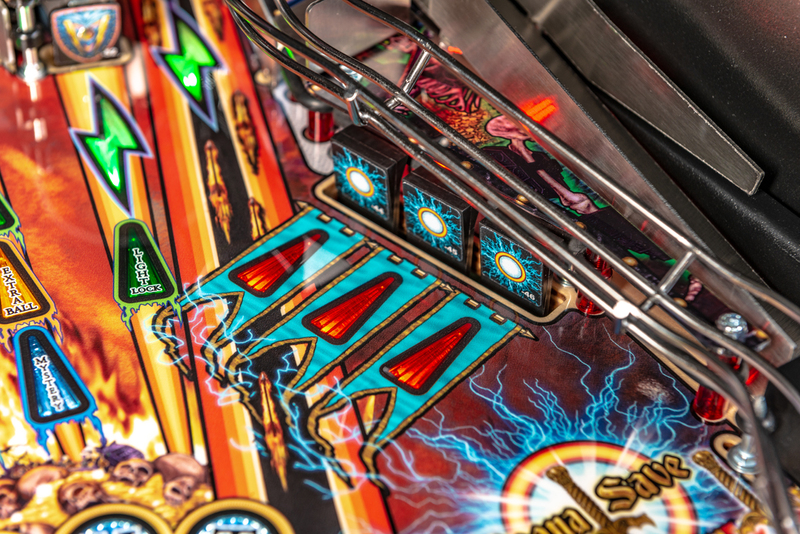 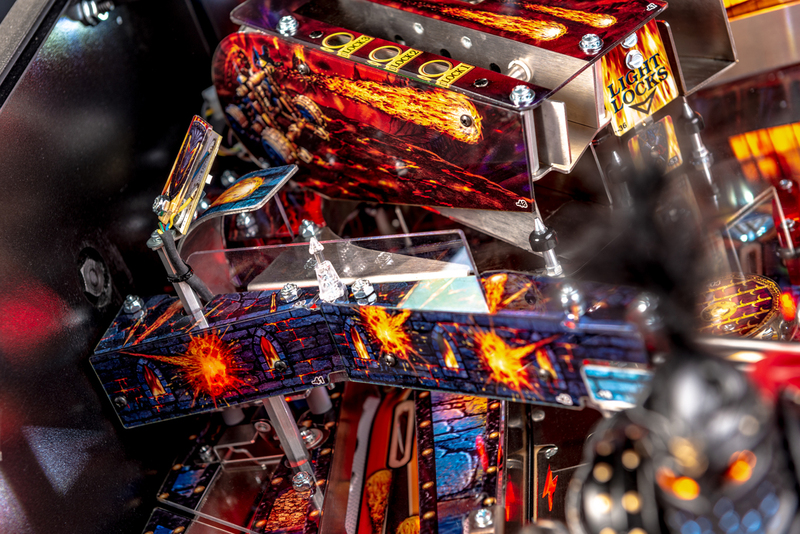 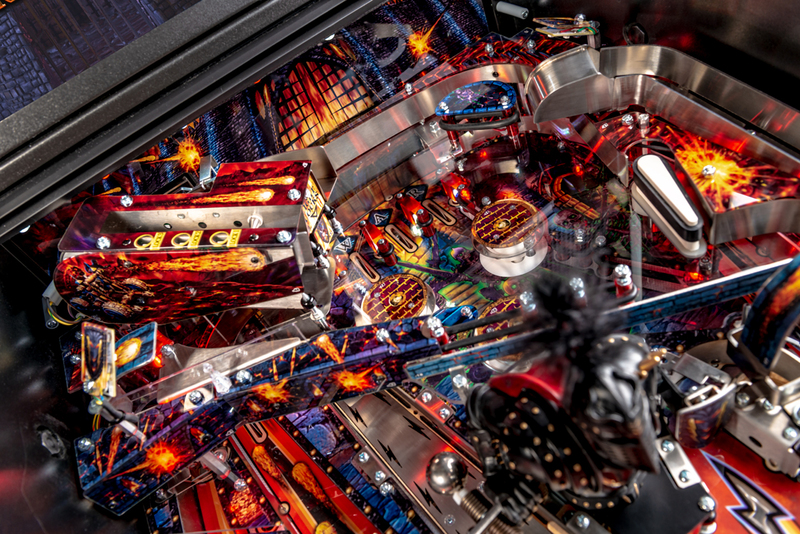 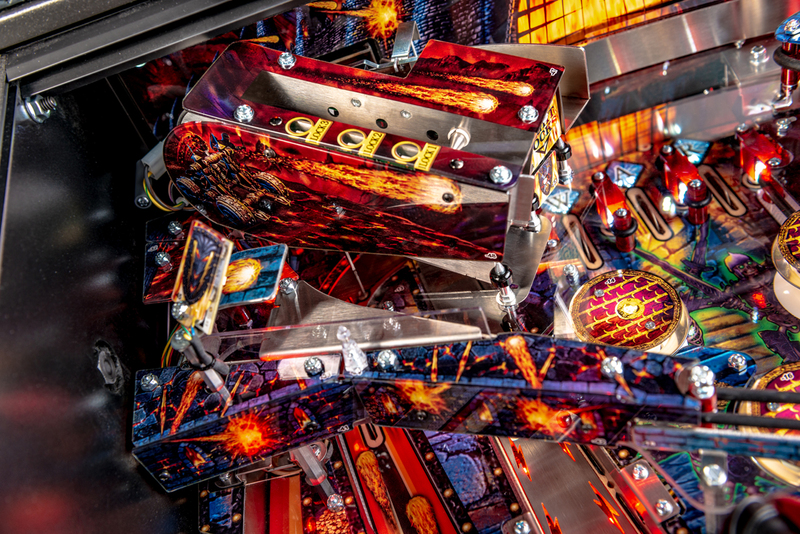 –Lexan Upper Playfield with 1 full sized flipper, orbit lane and 3-Ball Catapult Multiball Lock mechanism. 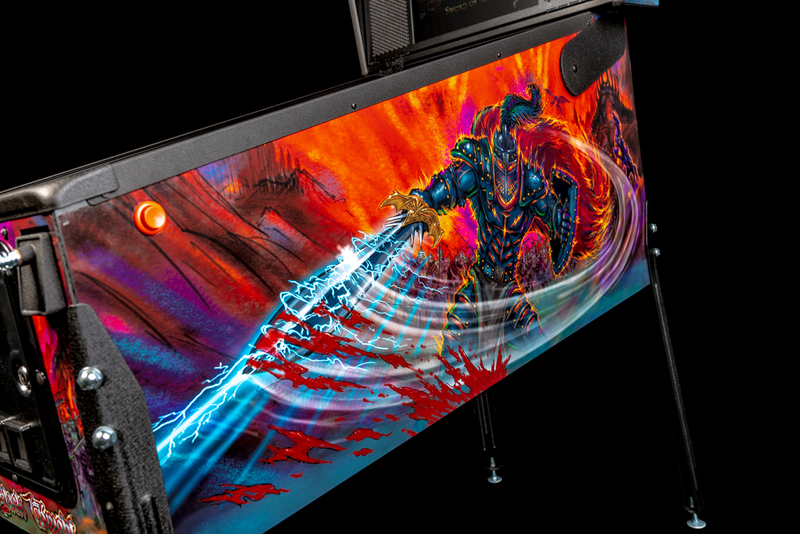 – Exclusive “Swordsman” full color HD art on translite backglass and decal cabinet art.